Happy New Year to all the Rubyists out there from RubyNepal.org. A common way to celebrate new year is by revisiting moments from your past, so I decided to conduct the first edition of the year 2016’s monthly Ruby and Rails Meetup at CloudFactory. It was nostaligic for me to go back to the place from where I learnt so much and is filled with so many good memories. As for the meetup itself, two presentation talks were given during the event held on Jan 10th, for which around 35 developers turned up. 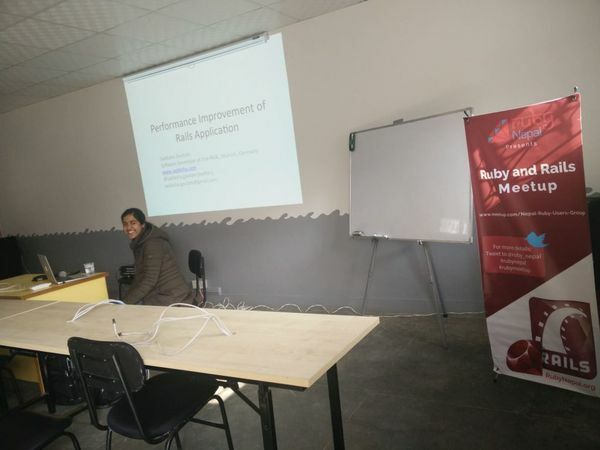 The first talk was titled “Performance Improvement of Rails Application” by Sadiksha Gautam. She is currently working as Software Developer at EnerNOC, a Ruby on Rails based company in Munich, Germany and was eager to share her experience even before she arrived back to Nepal. 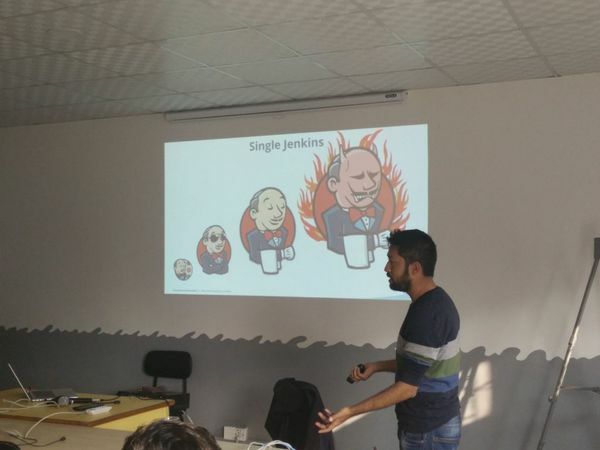 Some good tips on profiling, caching and optimization were shared along with her slides which you can sneak into your Rails app and claim your performance bonus raise. Kudos to Sadiksha for giving the presentation while being unwell. Get well soon! Docker is new rage in the developer universe and DevOps Manager, Bikash Kaji Basukala wasn’t far behind. 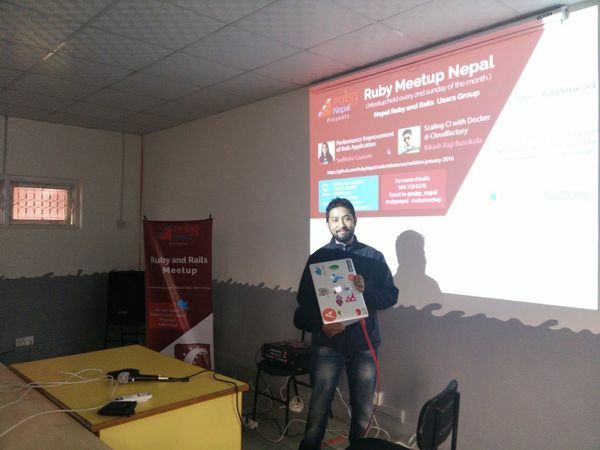 He showed all the tricks he had pulled off with tools like Docker, Jenkins CI, Github APIs and Hipchat to automate and scale the ever-growing CloudFactory, a Ruby on Rails startup enterprise from Nepal to millions of users around the world. Too bad if you missed this advanced talk as some serious Q&A took place afterwards which was rather informative to anyone who is facing problem scaling apps from monolith to SOA to microservices. Checkout the cool diagrams from his slides of “Scaling CI with Docker @ CloudFactory”. If you haven’t heard then we hangout on Slack and use github issues to schedule and manage our meetup presentations. You can pick/open issue if you want to share your experience or want others to present on topic that intrests you. 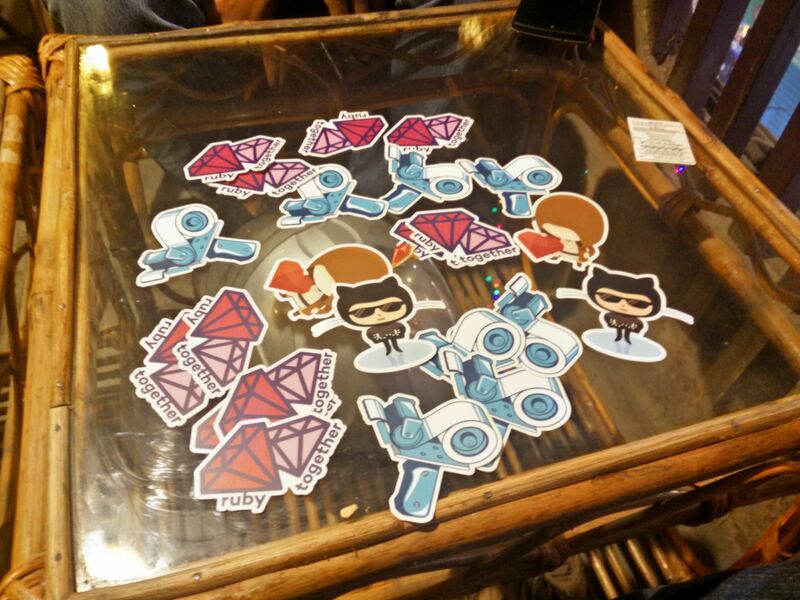 Meetup attendees thank Bibek Shrestha from Austria for the wonderful stickers all the way from RubyConf 2015 (Texas, US). 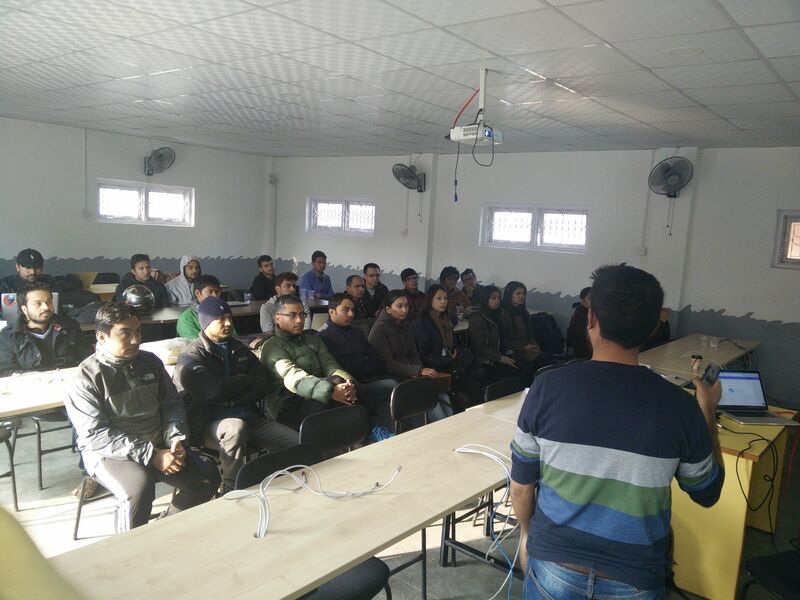 Also, warm greetings to CloudFactory for allowing us to use the spacious training hall and snacks for the event. Like it’s said, “One step into the past, one into the future”. Both speakers happen to be my good old #RubyFriends and it was good to see some old faces! So, don’t forget your friends and take care of your family.